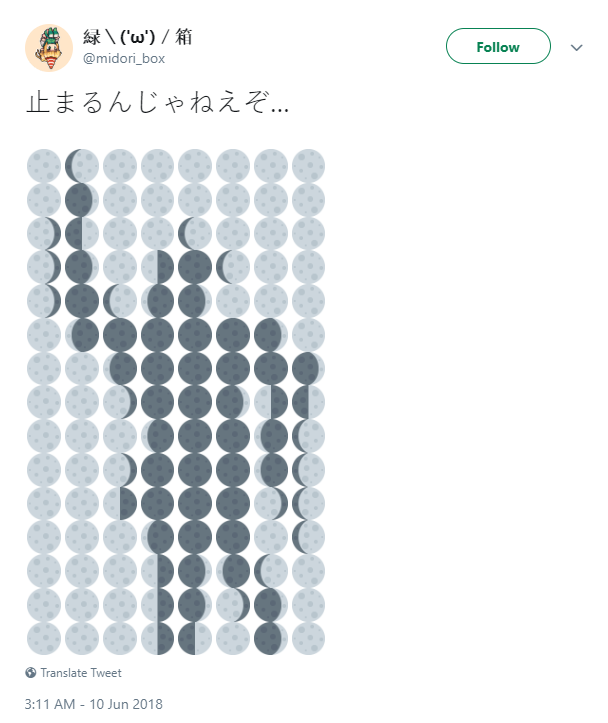 2010s, 2018, emoji, japan, mosaic. Emoji moon mosaic by @midori_box via fakeUnicode. Cone mosaic in Uruk, Mesopotamia, 3000 BC. By Joe Winograd (on Tumblr). 2010s, 2015, c-men, mosaic, MSX, netherlands. Album cover for Cryptochrome by Poke-1,170. It’s MSX IDM. 1990s, 1993, computer graphics, design, grid, japan, mosaic. Mosaics in Berlin. Thanks to miska knapek for the pictures. 2014, mosaic, street art, streetart. La suspendue. Mosaïque de bois peinte, Jardin Éphémère 2014, Saint Ouen, Julie Sarloutte. 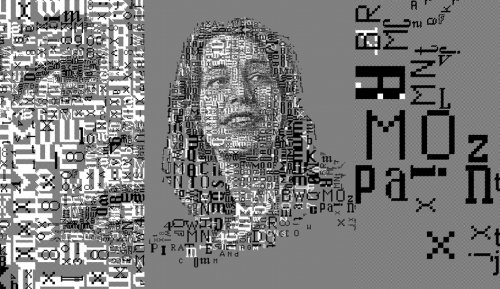 2010s, 2014, mosaic, steve jobs, susan kare, text art. 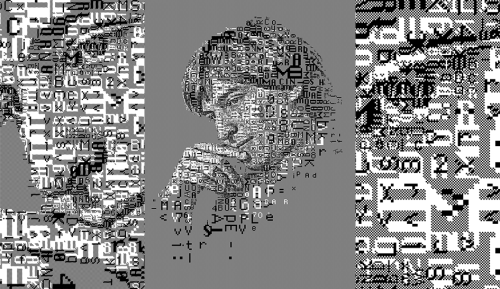 Steve Jobs & Susan Kare, by Charls Tsevis for Typorn, 2014. Uses the 1-bit fonts of the first Mac.